'Cribby' was brought up on 'Blue Peter' and roller skates, before he learnt to windsurf in Poole Harbour. He car crashed and partied his way out of art college and his teens simultaneously to windsurfing professionalism, winning twelve British Champion titles and finishing runner-up in four world championships through the nineties. 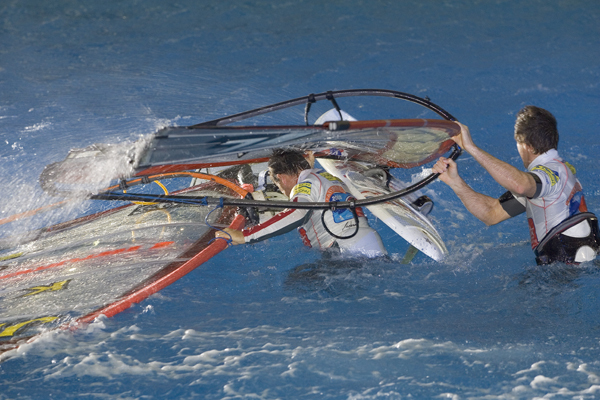 He worked extensively on the research and development with the world's leading windsurfing brands, coached the British Youth and Raceboard Teams and competed professionally on the PWA World Tour. 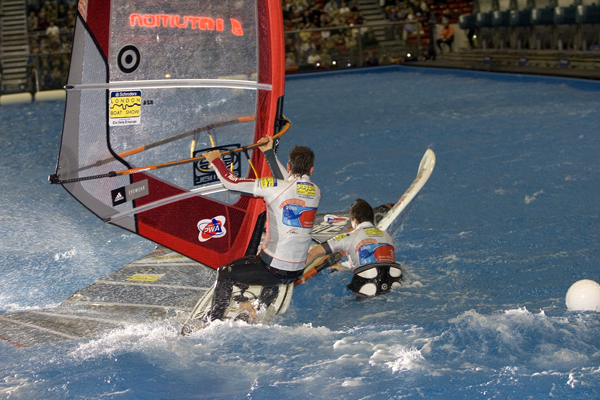 For the passed decade his innovative approach and detailed examination of windsurfing technique has been revolutionary, creating an exciting simple modern syllabus called Guy Cribb INtuition.